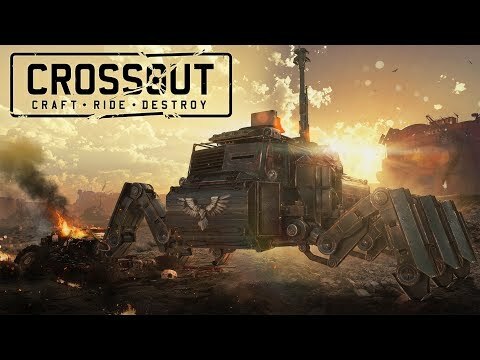 With its fun gameplay and interesting take on the online shooter genre, Crossout is a decent idea that sadly lacks depth. 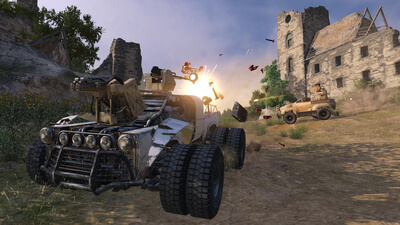 Crossout reminds me of the first vehicle I owned, which was a 1970s Volkswagon Beetle hand-me-down. It didn't look like much at first and it definitely had its share of problems, but I had a lot fun driving it. Soon I discovered that the more time I dedicated to fixing and upgrading it, no matter how monotonous, the more fun it became. Some problems were never fixed, but eventually I was proud enough to take my custom car out in public and show it off. One day Crossout will be proper game with original system for building your own vehicle. However, now it needs a lot of fixing. There is nothing ground-breaking about Crossout, and it has some flaws here and there. Despite all this, it is a solid experience that really captures exactly what the people who are going to be interested in a game like this are looking out for. It puts importance on everything in the game, and it is difficult to pick away specific aspects that aren't interesting when playing it. 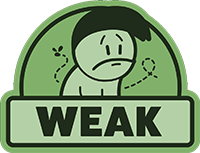 While it is the biggest strength of the game, it is also its biggest flaw. It is like a meal; you have to eat the veggies before getting the dessert, whether you like it or not.